The long-running cold snap that has most of the province in its grip isn’t letting up just yet. The long-running cold snap that has most of the province in its grip isn't letting up just yet. 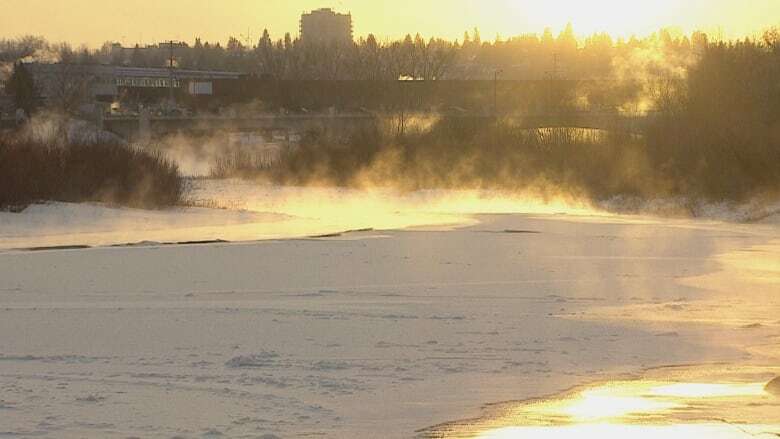 Environment Canada says Calgary, and much of the province, will experience wind chill values between –40 and –45, especially overnight and early in the morning. Most of southern and central Alberta remain under extreme cold warnings. "Skies are forecast to clear tonight for many areas, especially over eastern and central regions, allowing temperatures to plummet," the agency said on its website. "This will produce extreme wind chill values again for many regions by Tuesday morning." The extreme cold is expected to linger until Thursday, when Calgary should get a high of –9 C.
According to YYC Weather Records — a Twitter account run by computer scientist Rolf Campbell, who developed software to pull in Environment Canada data to create weather statistics — it's the longest cold snap stretch since January 1998. The average daytime high for this time of year is zero and the average night-time low is –12 C.
People out braving the cold should watch for cold-related symptoms such as shortness of breath, chest pain, muscle pain and weakness, and numbness and colour change in fingers and toes. Environment Canada also reminds people that if it's too cold for people, it's too cold for pets. There's nothing really new about it being super cold in Calgary this time of the year. Here's a look back at how people in Calgary have endured — and enjoyed — our frigid winter weather as far back as the late 1800s.